April is the right time to talk improving the exterior of the home, flowers are blooming and the selection of plants in nurseries is good. I will take the façade as one section of the home I think should express who is the person living there. The façade is your business card and the way people judge with just one look. Remodeling the façade of your home is like remodeling your face. It’s a funny analogy, but you will see why when you read this article. Think of a home like a woman’s face: the roof is the hair, the windows are the eyes, the front door is the mouth and the walls are the cheeks. All of these elements must communicate with each other finding harmony through the use of colors, textures, and finishes, just as a woman harmonizes and coordinates the color of her hair to her skin and dresses, or matches the make-up to the color of her eyes, complexion, and/or dresses. 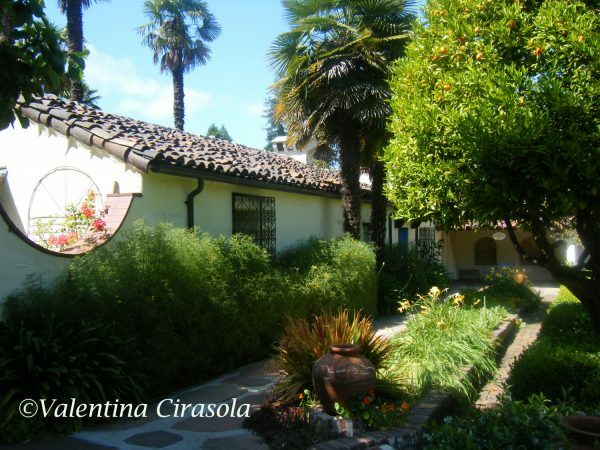 The exterior colors of a home are the cheeks of a woman. Is the color of the house tired and outdated? Refresh the exterior wall color, just like you would do with your face. Apply a good primer, then apply suiting colors to match the landscape and the environment. In the design world, everything looks good in a composition of three. If you can use three colors for the exterior of your home, light, medium, and dark, it will make a home very interesting. 1. Find an inviting color for the entry. If the exterior walls are painted in light colors with medium color trims, the door should be a dark color to anchor the house, just like the red lipstick anchors and completes the woman’s make-up. Do the opposite if the walls are painted dark, color the entry door in a light color. The front door is the focal point of the house, make a statement just like you would with a lipstick. 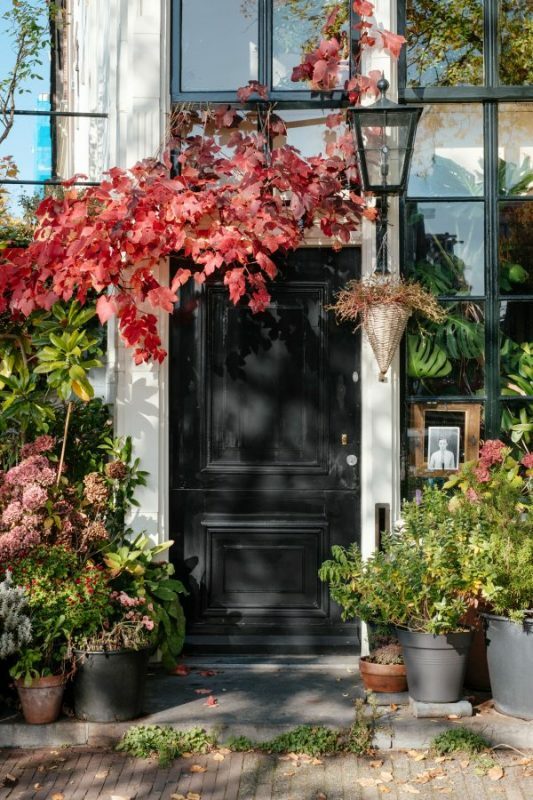 Creating a perfect symmetry at your front door is pleasing to the eye. 2. If the hardware is out of date or dingy, your home may not convey a good aesthetic. House numbers, the entry door lock set, a mailbox should be working in unison. Mailboxes should complement the home and express the homeowner’s personality. Select a box that mirrors your home’s trimmings and woodwork or the stones of the exterior. I like to see a whimsical mailbox, no matter what the style of the house is. 3. Light fixtures should be placed strategically to guide visitors to the door and should reflect the color and style of the front door. Low-voltage landscape lighting makes a huge impact on the home’s curb appeal. It provides safety and discourages the bad guys from coming on your property. It also accents the beauty of the trees and the architectural details of the house. Picture the largest threes on your property highlighted with a moonlight or silhouette effect. Nice, just like Hollywood! 4. Add details to your garden. Put your garden into shape quickly by renewing planter beds. Prune growth, eliminate weeds, plant new flowers, and add new mulch to restore the color that the sunlight and harsh weather depleted. 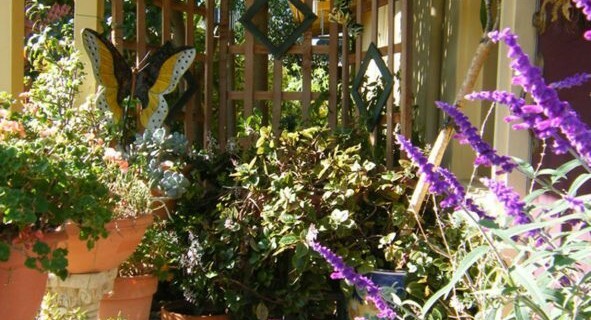 Birdbaths, metal sculptures, and wind chimes are good choices for outdoor art. 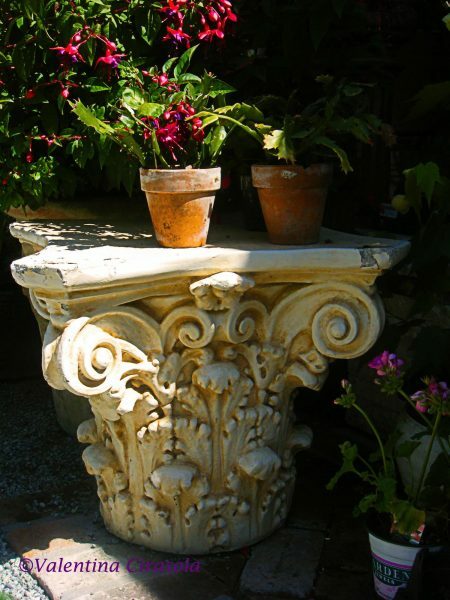 Choose pieces that complement your home’s natural palette and exterior elements. 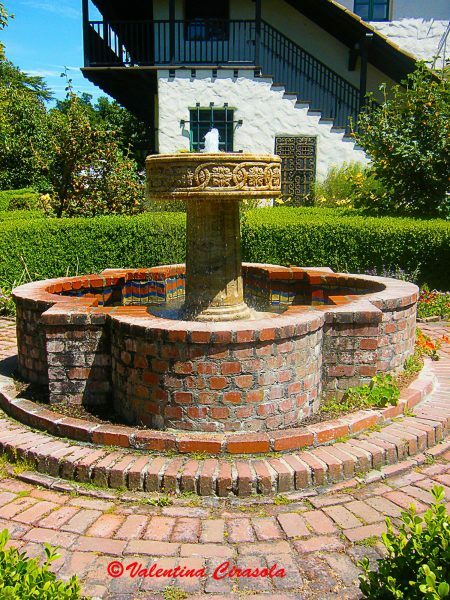 Water features function both as garden art and cover up other harsh sounds. Of course, there is so much more to the exterior of the home. What if there is a cantilever roof protruding over the entry? How do I correct a straight pathway to the door or stairs? How about outdated windows, do I change them (a good expense) or do I create new vegetation around them? What if the house faces the street? Perhaps in the next post, I can address these issues. For now, I hope these 4 things will inspire you to create a great entry landing. That was a nice article that will be very helpful for prepping for the glorious season ahead. Thank you for all the tips and suggestions. I am glad you liked the article. Thank you, Karen, for your visit.